The Hindmarsh Shire Rainbow Desert Enduro will be back in 2019 as round three of the BFGoodrich CAMS Australian Off Road Championship (AORC), running from 9-11 August in the north-east Victorian town of Rainbow. The Rainbow Desert Enduro has been a round of the AORC since 2017 and has developed a reputation as one of the most gruelling and tough off road events on the Australian calendar. Victorian Off Road Racing Association President Brett Price said the organising committee was looking forward to running a third successful event in 2019. “We’ve got two years under our belts now and have been making improvements year on year and we’ve believe we’ve got a really great event,” said Price of the Enduro. This year’s event saw the addition of several jumps in front of the spectator viewing area and track changes aimed at producing closer racing between the classes. “We were really happy with how the jumps turned out first up,” said Price. Rainbow locals again embraced the event in 2018, with a good crowd enjoying Friday afternoon’s scrutineering and display in the main street. 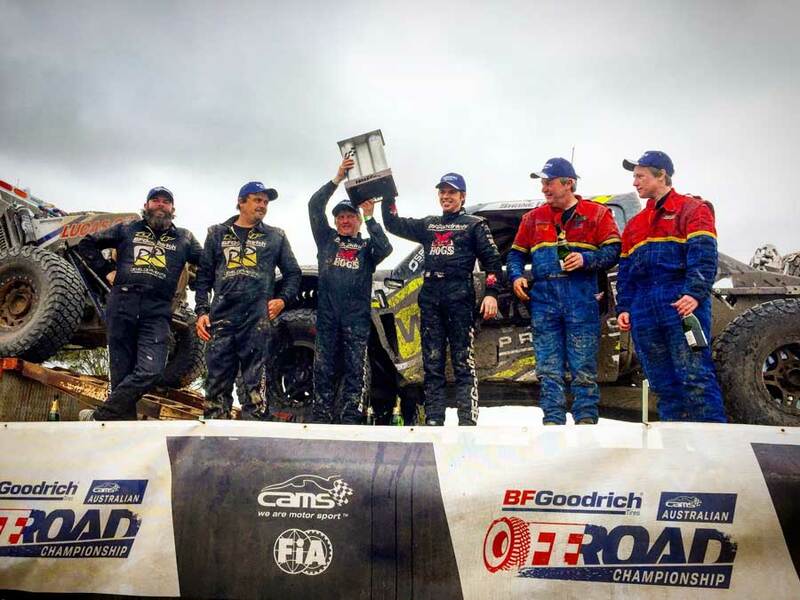 Spectators at the 2018 event were treated to two days of tough off road racing, and were witness to Shannon and Ian Rentsch taking a hat-trick of wins in this year’s AORC and claiming their ninth Australian title. Price said VORRA will look to continue improvements to the event. “There are still things we are learning, where improvements can be made, but we are confident that we can keep building a great event,” he said.